Driving through Times Square is a tricky proposition even on normal nights, but for a few moments tonight it was basically impossible to cruise down 7th Avenue. That’s because Microsoft officially kicked off sales for its new Windows RT-powered Surface tablet, and briefly closed the street to ensure none of the curious onlookers were hit by errant cabs. 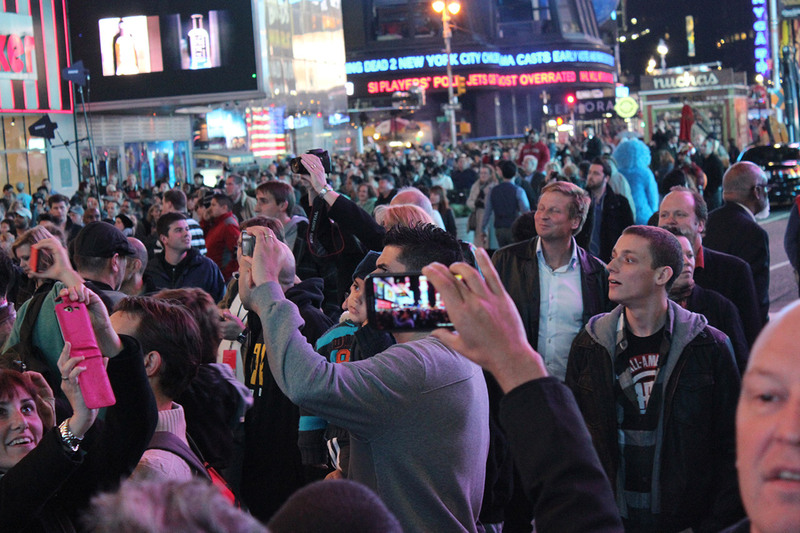 Walking through Times Square tonight, it would be hard to miss Microsoft’s promoting efforts anyway. The company has taken over the majority of billboards around the area and also set up some demo stations in the middle of the plaza. 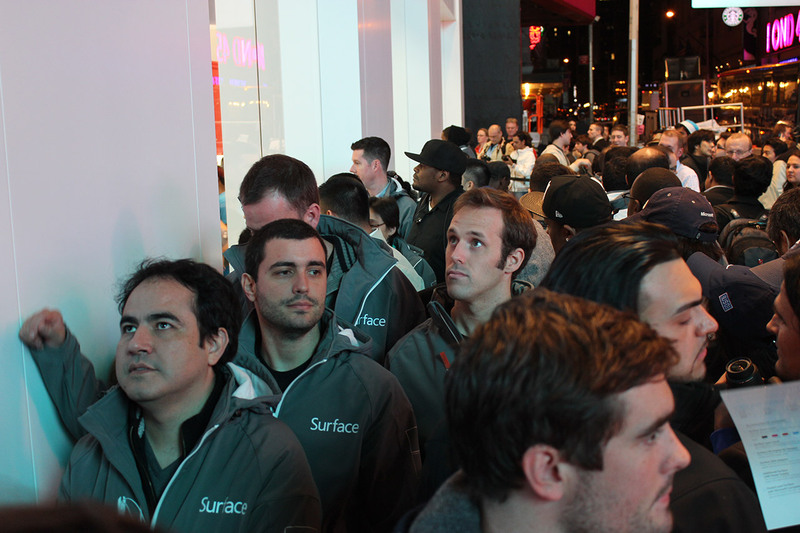 That, coupled with the company’s Surface ads and television appearances, seemed to do wonders for building awareness — while most of the people waiting in line for the Surface had heard about the device online well in advance, some of the people we spoke to remarked that they had seen the Surface touted on television. 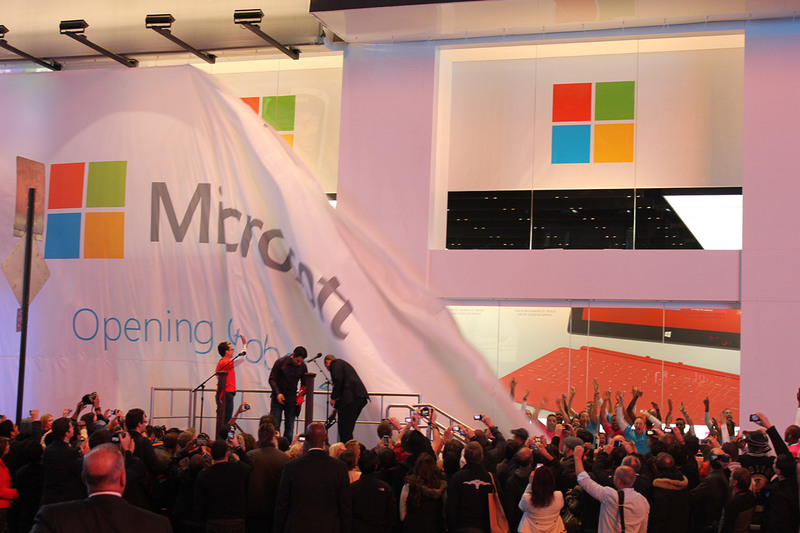 There’s no question that Microsoft planned to make a spectacle out of its latest foray into hardware, and there’s also no question that the plan worked. 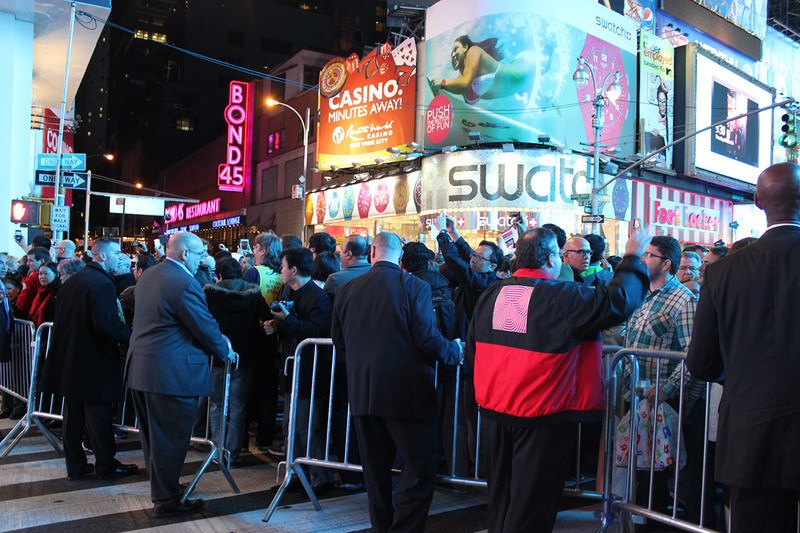 As the Surface line grew and the press area swelled, curious bystanders continually stopped to see what all the commotion was about. 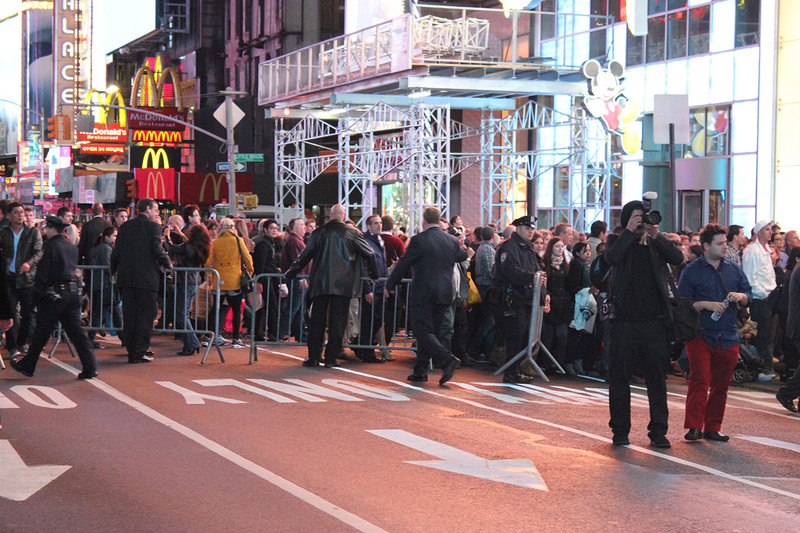 But what of the intrepid folks in the line itself? 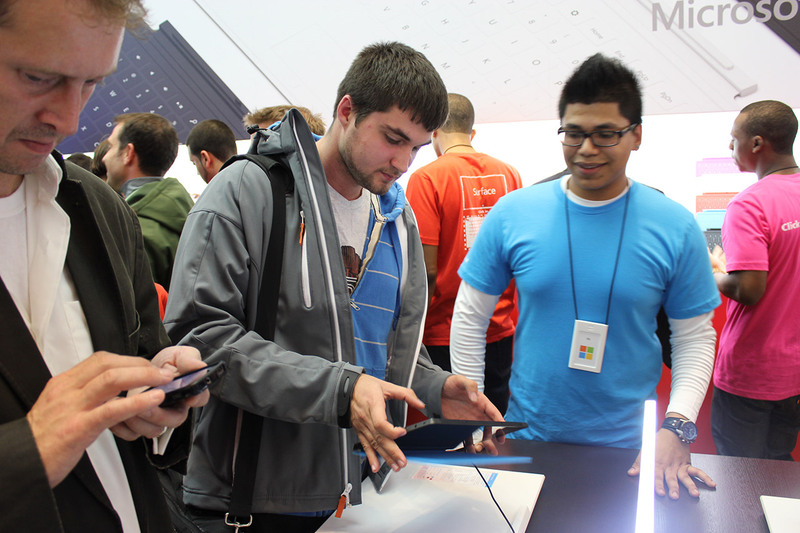 Microsoft gave their share of swag to the first 50 people waiting in line (including that handsome Surface jacket you’ll see in the photos). 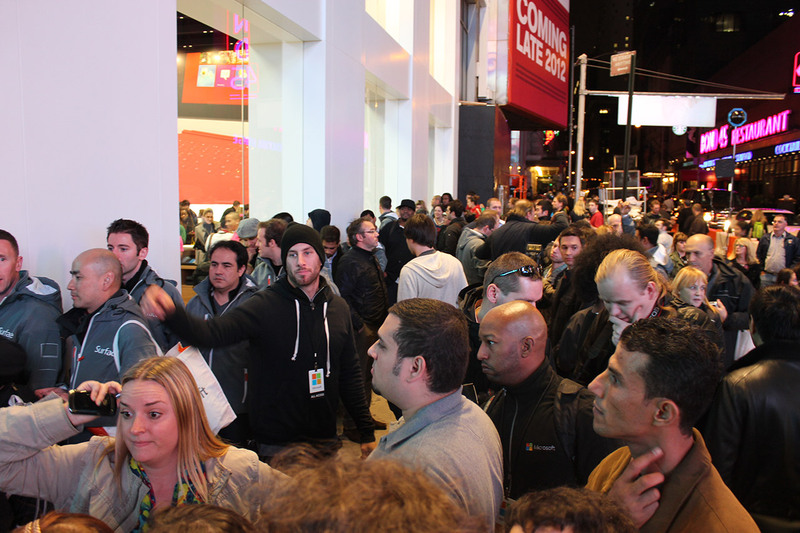 It’s hard to gauge how many people were there and Microsoft didn’t provide us with its own estimates (though they were admittedly pretty busy), but we would guess that there were at least a few hundred people standing outside the store when it opened around 9:45PM. 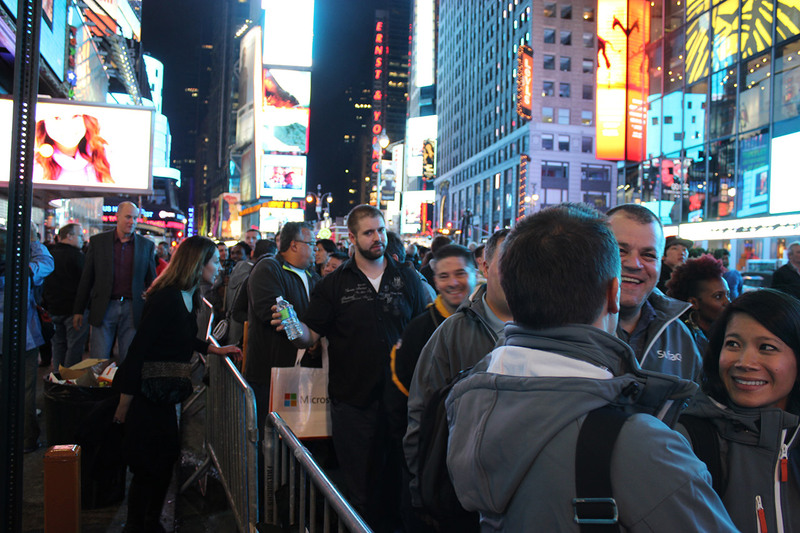 We got a chance to chat with some of the people in line to see why they decided to queue up. They provided a pretty wide range of opinions. 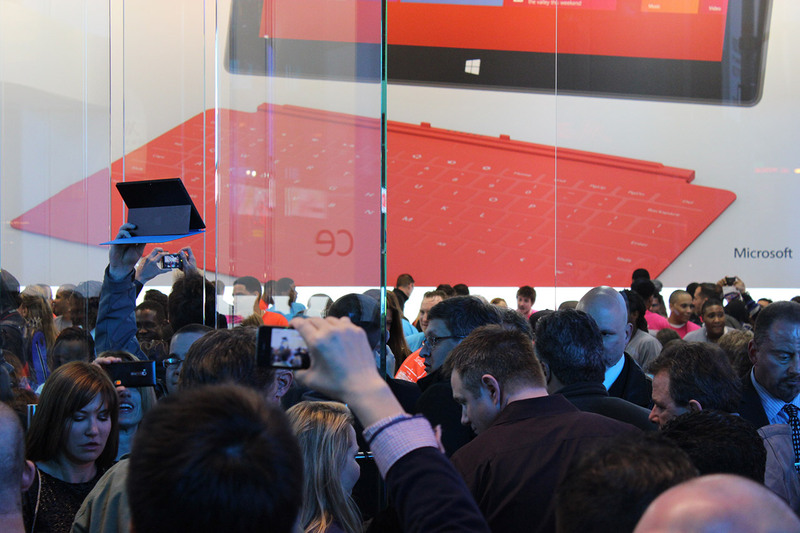 Some, as expected, said they wanted to buy the Surface because “it’s not Apple.” “Getting out of The Matrix” was one of the reasons we heard from a group of people who started lining up around 4PM today. “This is a complete transformation,” one of the girls in line told us (and we’re pretty sure she wasn’t a Microsoft plant). 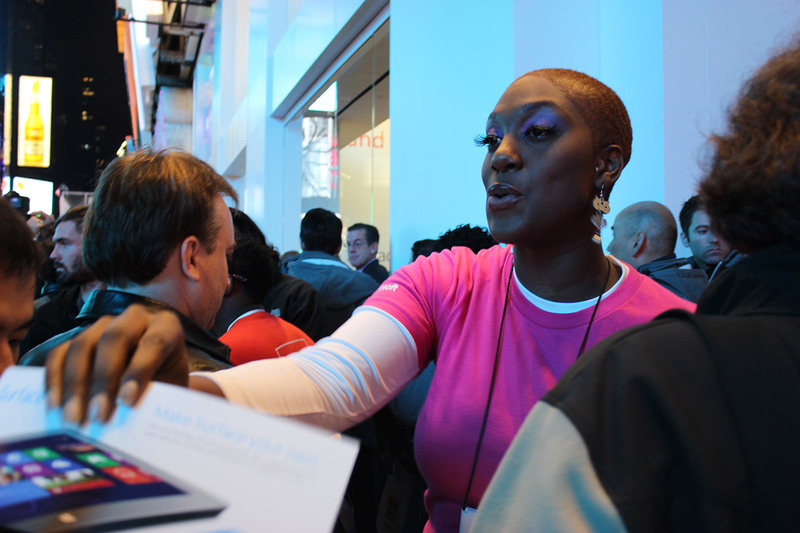 “This is the first time Microsoft is coming out with hardware.” Even though Microsoft came up with other devices in the past, for her, the mix of Xbox, Windows Phone, the Microsoft cloud and Windows 8 was clearly a winning combination. Price, too, was apparently a factor, especially for those who were interested in getting more memory for a lower price than the iPad and those who are interesting in the Touch Cover and built-in Office apps. Speaking of apps, a pundit has pointed to the platform’s lack of apps as problematic, but most of the people we spoke seemed optimistic. As one person told us, he is only interested in a small number of apps (including his bank’s app). 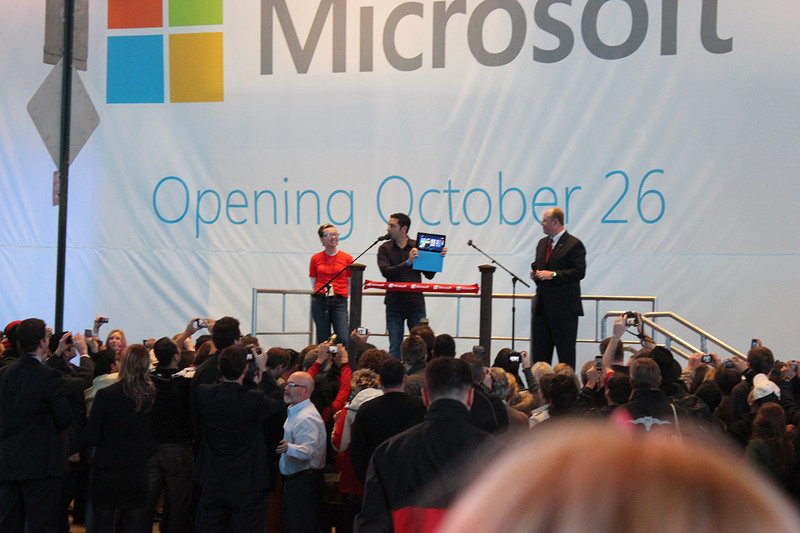 Interestingly, another line-waiter also told us that he made the decision to buy the Surface when he saw the live stream of the keynote this morning. He was especially impressed with Steven Sinofsky skateboarding on the Surface and the live drop test Microsoft performed during today’s second keynote. Now, remember those free jackets the first people in line got? They proved to be more trouble than they were worth for some on this mild October night — once inside in store proper, temperatures spiked dramatically and little bottles of water were being ferried out onto the street. 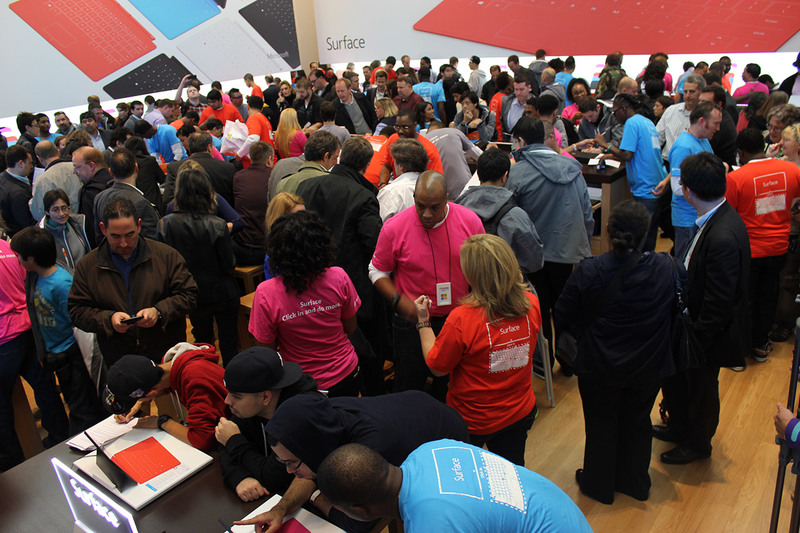 Here’s the kicker though: none of the people who waited in line for so long actually walked out the door with a Surface in their hands. 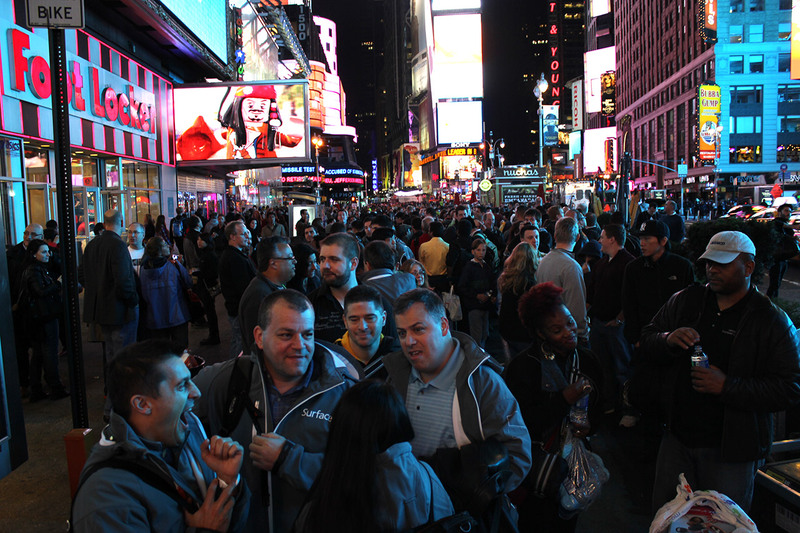 Instead they were directed to pay for their hardware, and were told that they could either come back at midnight to pick up their spoils or have it delivered to their homes or hotel rooms by noon tomorrow. 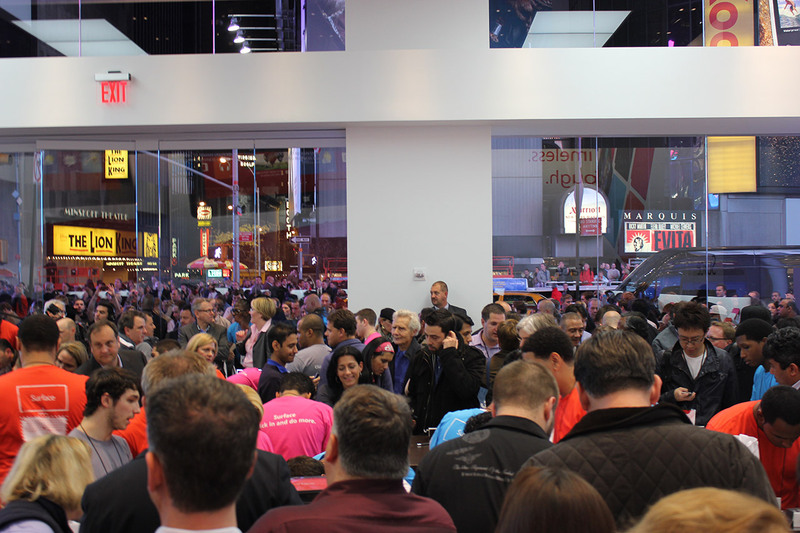 Meanwhile, Microsoft Store employees were settling in for the long haul. One employee I chatted with briefly told me that he and many of his fellow retail workers were slated to work straight through to 7AM. “I hope people don’t stop coming in until 7,” he said with a grin. Early reviews of the Surface offered up views of an ambitious, imperfect device, but starting tonight, the real judges will finally have a chance to weigh in.